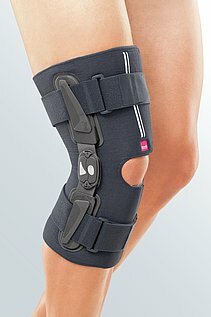 Knee braces can be used in many ways: for example, a rigid frame brace can be used after an operation for cruciate ligament rupture. 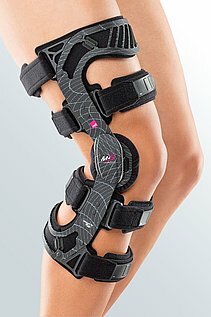 A soft brace can be the treatment of choice for less severe injuries. 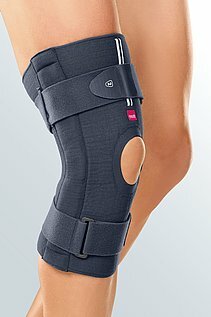 For example, to stabilise and immobilise the knee after injuring the inner or outer collateral ligaments. 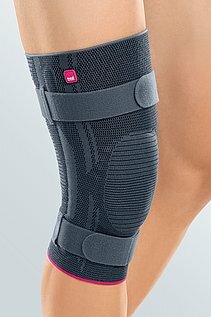 The knee is one of the most used joints in the human body – and is thus also particularly susceptible to pain and injuries. 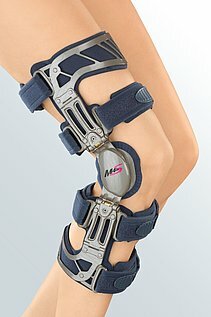 medi has developed three different knee brace models. 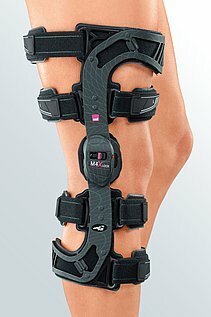 For example, a cruciate ligament rupture may occur when abruptly changing direction while running or jumping. 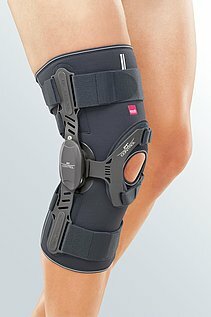 If the movement is too violent, the cruciate ligaments in the centre of the knee joint may tear. 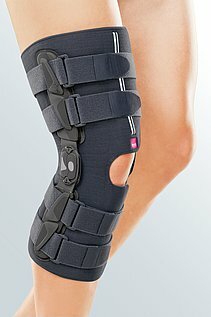 The meniscus lies between the thigh bone and the shinbone, and ensures optimum pressure distribution in the leg. 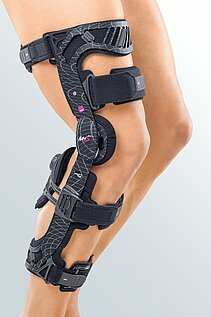 The susceptibility of the menisci increases with age – they can tear because they become brittle. 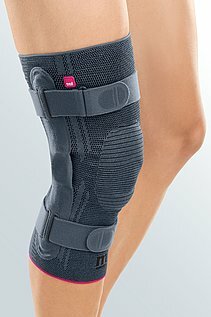 A meniscus injury usually needs an operation. 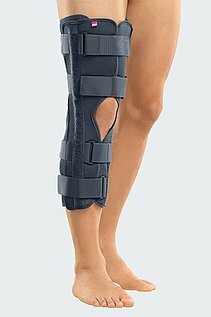 After the operation on the cruciate ligament or meniscus, the doctor can prescribe a knee brace to help the patient start rehabilitation and regain mobility as quickly as possible. 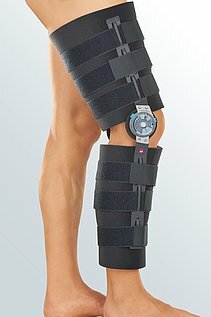 The flexion/extension wheel can be set individually depending on the recovery and treatment requirements.